Association of Fundraising Professionals Greater Madison is a thriving chapter serving more than 200 members and hundreds more people each year with a passion for philanthropy. Guided by an active board of fundraising professionals and community members, our chapter has more than 30 years of experience offering innovative educational programs that encourage ethical and effective fundraising practices. With our community, we celebrate giving in south central Wisconsin. Everyone is welcome at AFP Greater Madison. Community members are invited to join us for any program, and chapter members receive discounts on registration. AFP Greater Madison is a partnership of people and organizations devoted to advancing ethical and effective philanthropy through education, professional development, networking and outreach. To advance ethical and effective fundraising. Leadership: Providing the fundraising community with the highest quality of knowledge, information, professional development, networking, and related tools and insights to ensure a successful future. Integrity and Credibility: Conducting business according to the highest ethical principles and serving as trustworthy stewards of our resources. Service Responsiveness: Understanding that our focus is on service to our members and stakeholders, and that it is provided in a timely and thoughtful manner, open to new ideas, and exceeding expectations. Inclusiveness: Embracing diversity in the fundraising community with a commitment to understanding and addressing the shared and unique needs of all members of that community. Philanthropy: Inspiring the public to embrace philanthropy and its integral role in creating a better community. 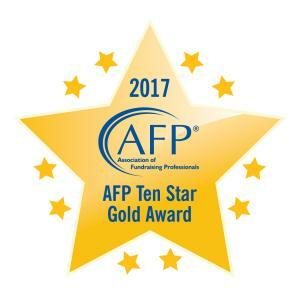 Since 2005, our chapter has proudly received the AFP Ten Star Award — an honor achieved by only one-third of all AFP chapters. We have been designated a Ten Star Gold chapter since 2014. Every year, AFP International — the largest association of professional fundraisers in the world — honors chapters for reaching goals that align with key objectives in its long-range strategic plan. The Friends of Diversity designation recognizes chapters that have accomplished many of the key objectives outlined in AFP International’s Advancing Diversity initiative. This designation encourages chapters to perform specific activities designed to increase diversity within fundraising, and public awareness of the importance of philanthropy in all cultures. AFP Greater Madison believes that diversity and inclusion create a strong, vital and unified force for the effective pursuit of an organization’s mission and for achieving philanthropic success. 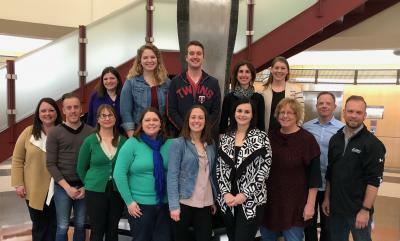 Our chapter seeks a broad representation of experiences, perspectives and cultures to ensure that the best possible thinking, ideas, opportunities and solutions are considered; intentionally creates a respectful and welcoming environment that is open to all; and appreciates the unique contributions of every member of the Greater Madison community.